Billy Harney was born to be a cop. The son of Chicago's chief of detectives, whose twin sister is also on the force, Billy plays it by the book. Alongside Detective Kate Fenton, Billy's tempestuous, adrenaline-junkie partner, there's nothing he wouldn't sacrifice for his job. Enter Amy Lentini, a hard-charging assistant state's attorney hell-bent on making a name for herself-who suspects Billy isn't the cop he claims to be. They're about to be linked by more than their careers. A horrifying murder leads investigators to an unexpected address-an exclusive brothel that caters to Chicago's most powerful citizens. There's plenty of incriminating evidence on the scene-but what matters most is what's missing: the madam's black book. Now with shock waves rippling through the city's elite, everyone's desperate to find it. As everyone who's anyone in Chicago scrambles to get their hands on the elusive black book, no one's motives can be trusted. 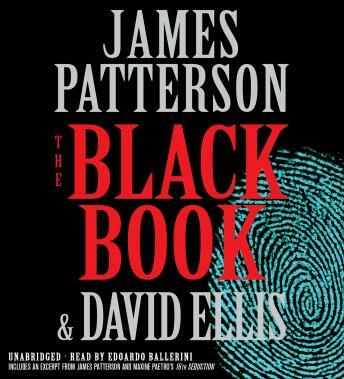 An ingenious, inventive thriller about power, corruption, and the power of secrets to scandalize a city-and possibly destroy a family-The Black Book is James Patterson at his page-turning best. Great book, great plot, great narrator, only flaw was it was hard to go back and forth from past to present. Another James Patterson Masterpiece. I have read all his books and always pre-order the new ones. This is a book with a good story that drags along until the end. I'm thinking an abridged version would have been a better choice. Narrator was great. Great book!! Easy follow with lots of turns. Narrator is great!! This book was exciting from beginning to end it had me on the edge of my seat. Wonderful listen!!! Keeps you hanging on every word right until the very end!!!! I didn't like this book. Especially the narrator. I almost never not finish a book, but this one did it for me.